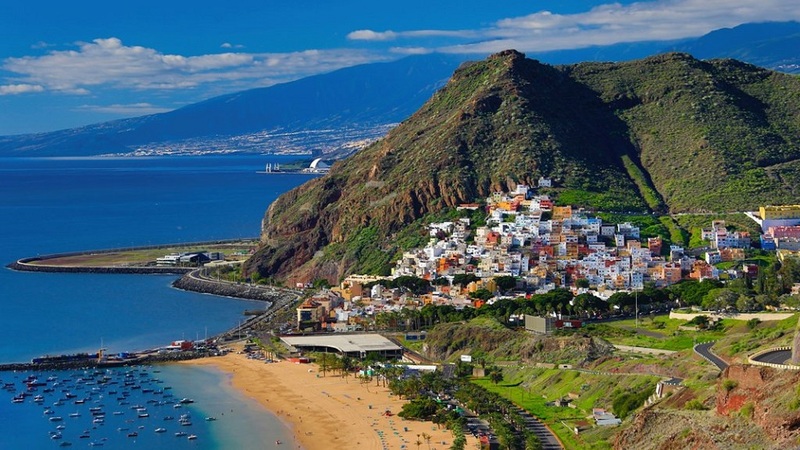 Tenerife is the largest of the Spanish islands that lie off the west coast of Africa, the Canaries. The island is dominated by Spain's highest peak: Mount Teide, a dormant volcano. It is perhaps best known for the Carnaval de Santa Cruz, held before Lent and is characterized by parades, music, dances and colorful costumes. The island also offers numerous beaches of golden or black sand, and resorts such as Los Cristianos and Playa de las Américas. Do you want to travel with your family to get to Tenerife (Sta. Cruz)? Do you like adventure and freedom and you want to reach the destination Tenerife (Sta. Cruz) with your moto ?